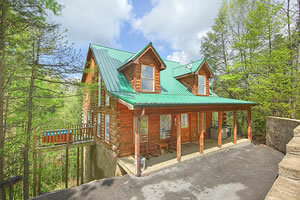 Description - If you are looking for great Gatlinburg cabins and Pigeon Forge cabins, you’ve come to the right place! With over 300 incredible properties, famously great prices and outstanding customer service, American Patriot Getaways is the most trusted resource for Pigeon Forge and Gatlinburg cabin rentals. 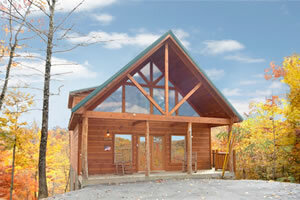 Gatlinburg Cabin Rentals to Match Any Need •HUGE SELECTION: over 300 amazing cabins to choose from. •GROUPS OF ANY SIZE WELCOME: cabins from 1 bedroom to 10 or more bedrooms are perfect for any group so plan your romantic couple’s retreat, family reunion, or corporate event with us. •GREAT AMENITIES: you name it, we got it. Our cabins feature amazing unobstructed mountain views, luscious hot tubs, luxurious private swimming pools, cozy fireplaces, pool tables, flat screen TV’s and much more... •AFFORDABILITY: we are famous for combining great pricing with unforgettable vacation experience. 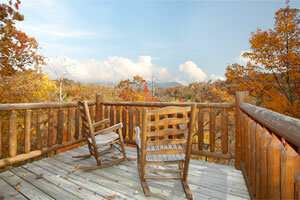 In addition to our already great rates, we often run seasonal promotions, so check back on our website often to keep up on the latest deals for Pigeon Forge and Gatlinburg cabin rentals. Break away from the routine and call us at (800) 204-5169. 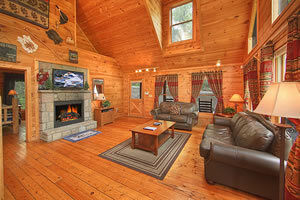 Our cabin specialists will be happy to help you choose from our many cabins in Gatlinburg and Pigeon Forge, so that you have an unforgettable vacation experience.